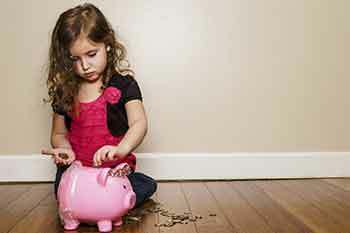 How to talk to your children about money? Start maintaining an amicable and free conversation right from the beginning. This will help you to talk freely to your children and the other way around. Having a free communication from the beginning help you discuss matters with your children which you or your children might skip otherwise. Often you as a parent might feel hesitant to talk to your children especially about monetary matters. But if the ice is not broken right from the beginning it can widen the communication gap. Do not let this gap widen and lay the foundation for a clear and easy communication right from the beginning. You might get confused as to how to begin a conversation on this crucial topic. How to impart this learning to your kids without making them feel being preached? This often looks tedious and tricky but is very simple. By making the children learn at their own pace with experience right from the beginning is the key to make them understand about money. The sooner the better: Start maintaining an amicable and free conversation right from the beginning. This will help you to talk freely to your children and the other way around. Having a free communication from the beginning help you discuss matters with your children which you or your children might skip otherwise. Start Slowly: When you start to try to make it a slow start with small mentions here and there. This will act as an icebreaker and would help your children to get more open and comfortable with the topic. You can also start by answering your children’s money related queries. This would create an interest towards the topic and would not seem like long preachy lectures. Be honest with your children: Being honest is very important to build trust. Share your good and bad experiences with money. Often parents try to hide such situations feeling not to bother their children but the truth is children handle such tough situations very well and bravely. And such confrontations help me to grow stronger even during the tough times. Most importantly they tend to learn and this way you can prevent them from repeating the same mistakes. Talk in terms of value and not figures: It is better that you talk to your children in terms of value instead of talking in numbers because what matters here is the value of money than just figures. It is better to teach them the concepts of saving, budgeting, paying off debts etc. This would be more beneficial and interesting for them than discussing numbers. Discuss the goals as a family: It is important that you set some goals as a family. This would require every family member’s involvement and contribution. In this way, the children would understand the setting of goals, its importance, sacrifices to be made in order to achieve them. Thus inculcating the value of togetherness. This way they would learn to value money and also how to prioritize when you have multiple options or in case of crucial times. Learn together with children: If you learn together with children then you can also get updated with the current information along with them. This not only boosts your children’s interest in monetary matters but will you also you and them updated with the relevant information. This will help you both to get along well and help each other in the learning process. As a result, you both get to learn new things at the same time can share your opinions and discuss with each other. It is very important to educate your children about the monetary matters with time as they grow up. Often talking about money straight away might not be a comfortable thing for either of you. Thus, instead of skipping, it is important that you use different tactics to create a rapport and communication bridge with your children. So as to create this rapport above-mentioned tips could come handy. 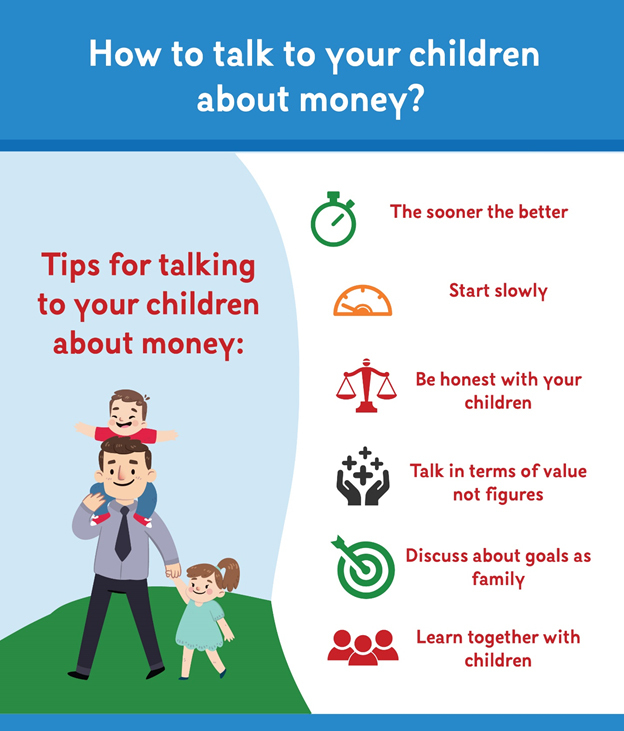 Try them and start talking to your children about money today!